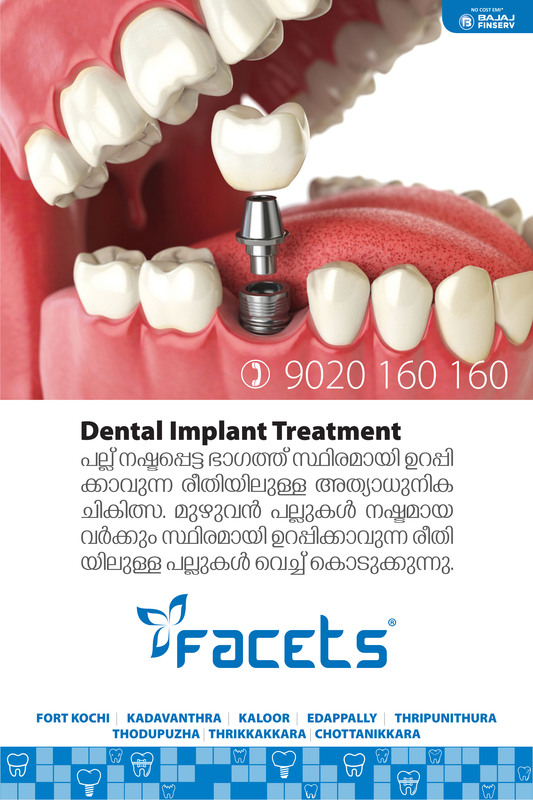 Dental Implant is the first option for replacing the missing tooth or teeth. It acts as an anchor for a false tooth or a set of false teeth.Treatment usually takes 2-3 phases. A periodontist or an oral surgeon will place the implant. Anyone in reasonable health who wants to replace missing teeth. You must have enough bone in the area of the missing teeth to provide for the anchorage of the implants. Some people are missing all their teeth and most of those are excellent candidates for dental implants, but today, we use implants to replace small bridges, removable partial dentures and even missing single teeth. This depends very much on where the implants are placed and what they will be called upon to do. The best case scenario is the placement of implants in the front portion of the lower jaw. Here success can be as high as 98-100%. In other areas of the mouth, success rates can drop significantly. According to figures that we have today, the success of implants in the front part of the upper jaw are anywhere from 90-95%. Success rates of implants in the back part of the upper and lower jaw can be in the 85-95% range. 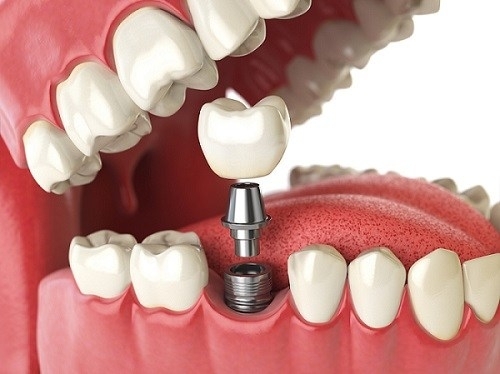 There are really not too many things that can go wrong with dental implants. They can fail to integrate into the bone and come out. They can fracture or break. There can be problems with the connection between the implant and the prosthesis. There can be an infection or an inflammatory condition in the soft tissue and sometimes in the bone as a result of the implant placement. All of these complications are rare and usually, account for less than 5% of all dental implant treatments. As our lifespan increases, the need for some type of permanent dental replacement system becomes very important to our overall health. Dentures and removable bridges have obvious problems: They are loose and unstable. Implants can provide people with dental replacements that are both functional and aesthetic. The demand was always there, we just needed the tools to fulfil that demand. The protocol that was originally developed clearly states that we must wait three months in the lower jaw and six months in the upper jaw before we can begin to construct the new dental prosthesis that will be supported by the implants. In recent years, however, there has been a movement within the profession to sort of speed up this process. Today we believe that it is possible for selected patients to accelerate the healing time. We are even loading implants in very specific situations right away. However, the general protocol that I favour is 3 months in the lower jaw and 4 months in the upper jaw. If you, like millions of people, have lost one or more teeth, you may be all too familiar with the unpleasant consequences. For many, missing teeth lead to an unattractive smile, embarrassment from loose dentures, and pain or difficulty with eating. Traditional dentistry can provide replacements for missing teeth using bridges, removable partials and dentures; however, each of these has its problems. Bridgework usually involves altering natural teeth to provide a stable foundation for support of replacement teeth. Partials and dentures can, at times, be very unstable leading to denture sores or speech difficulties. Reduction or elimination of bone atrophy or shrinkage commonly associated with loss of teeth. The success of your implants will depend greatly on how well you maintain them. Also, brushing and flossing daily is absolutely necessary for long-term success. You can go to work the next day unless some particular surgical circumstance arises. Your implant dentist will discuss all postoperative instructions with you. How long will treatment take and does it take longer than normal braces? The treatment time is about the same as with normal (labial) braces. Depending on the complexity of the problem, the treatment can take between 6 to 24 months. The actual procedure to surgically place a dental implant is done under local anaesthesia and is generally not at all painful. When the anaesthesia wears off about three or four hours later, you might expect some discomfort. The level of discomfort is quite different from patient to patient, but most patients do not have significant problems. Some patients do have varying degrees of pain or discomfort which may last for several days. Swelling and black & blueing may also develop. Perhaps one of the most frequently asked questions on this site is whether or not to use a fixed (“permanent”) bridge or a dental implant to replace one or two missing teeth. Suppose you are missing your lower left first molar. The implant will take about 3 months to connect with the bone and then at that time, your dentist can construct a single crown on the implant to replace the missing first molar. Most people notice a change in their speech, particularly over the first few weeks. This generally improves after an initial period of adaptation. Will I be able to clean my teeth as normal? You do need to spend more time cleaning your teeth. It is important to maintain a good standard of oral hygiene. You may need to visit the hygienist to have your teeth cleaned professionally every 3-4 months during treatment.